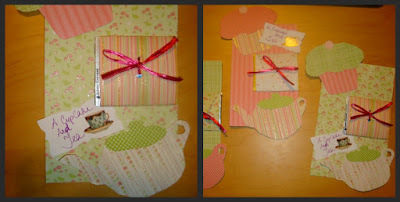 Evey's Creations: Tea Party Preparations cont. :) If you have been awesome enough to follow my baby blog, you might know that I'm planning a Cupcake and Tea birthday party for my soon to be 5yr old daughter! I found this awesome graphic at The Graphics Fairy's fantastic website, and have decided to transfer it to either a canvas or wood. I've seen several methods, including the one on her website, which is done with Mod Podge onto wood. Which method have you guys used? 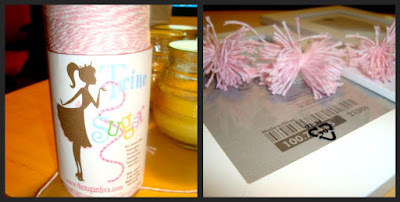 I've made a few things, including the following decorations, some pom poms for two frames, (I used this tutorial) with some fabulous baker's twine! I'll keep you guys posted! For now I'm off to the boardwalk! We're away on vacation! I'll be sharing some awesome finds with you later on this week! I love all of the specialty gift shops here at the Jersey shore! My mom in law actually found some cupcake string lights! :) Woohoo! :) Thank you~ I will definitely post to your party! It's always a pleasure! Yay! You came! This post made me smile. Thanks for inspiring me and many others to even attempt this feat. Really appreciate that you linked up at the Creative Bloggers' Party & Hop.